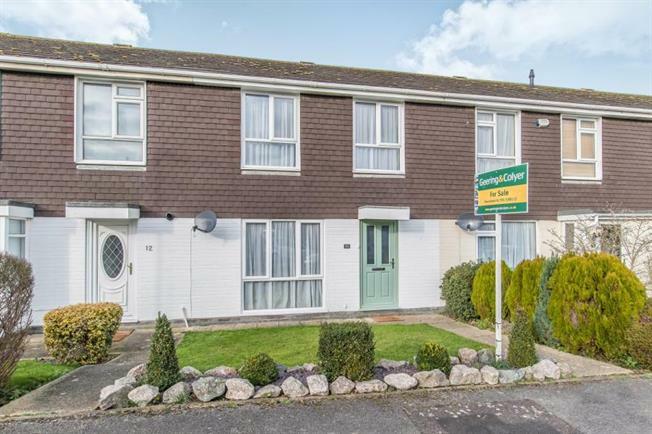 3 Bedroom Terraced For Sale in Faversham for Offers in excess of £290,000. Superb three bedroom property within walking distance to the town centre and train station. Presented to the highest of standards and well proportioned this family home has plenty to offer. The downstairs accommodation provides ample living space, with a modern kitchen, generous lounge diner and conservatory. Upstairs compromises of three bedrooms and modern family bathroom. Outside you will find a beautifully kept garden and also the added benefit of a garage. Please call Geering and Colyer on 01795538112 to arrange your viewing today! Faversham is one of England's most charming and Historic market towns. The town is an interesting mix of shopping facilities, historical buildings and streets. This medieval market town offers local shopping facilities and a market three times a week within its town centre. The local town offers a cinema, indoor outdoor swimming pool and golf courses at the nearby Villages of Belmont and Boughton-under-Blean. The train station is only a short walk away offering train links to London St Pancras, Canterbury, Dover, and Coastal areas of Thanet.